Do you create videos? If you do, probably you upload them on YouTube and share with your subscribers and friends online. YouTube is a popular platform to share videos online and once you uploaded your videos there, sharing is nothing more than copying and pasting. But it doesn't offer video editing capabilities much. Is that what you have heard of it? Well, what if you wanna edit and remix your uploaded videos and produce a whole new video to for a change and share with your friends online? Ugh... YouTube allows that? Mmm... Have you heard of YouTube Video Editor? When you are maintaining a blog, you know that 'a picture tells more than a thousand words'. Using pictures adds readability to your blog. It makes the whole reading experience better for your visitors. 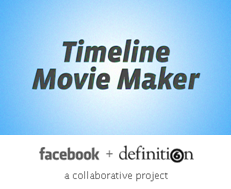 A video adds even more to the fun, provided it adds value to your posts subject. Nowadays YouTube is a popular term among Internet users as they speak of online video sharing. 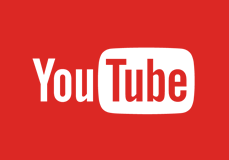 Everyone use Internet knows what is YouTube due to its popularity as a video sharing website. 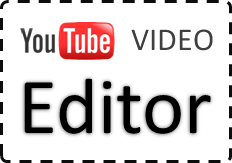 If you are seeking for online videos, YouTube is the first brand name comes in to your mind. Isn't it? Videos uploaded on YouTube are easy to share among users and the best use for bloggers and webmasters is that YouTube videos can be easily embedded on their pages. 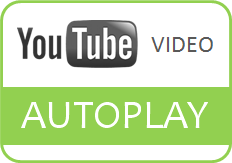 However as we embed a video on a page, we expect visitors to click on the play control to start watching. But there can be some occasions where we need videos to be auto-play without any user response as they land on our pages. Don't we? You already know that YouTube is a popular online video sharing website. You can upload and share your favorite and awesome videos with your friends and family in few seconds with the help of YouTube. 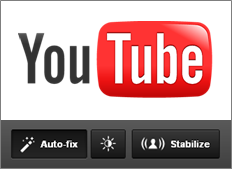 Further, You can easily embed YouTube videos or playlist on your blog or website if you want to. 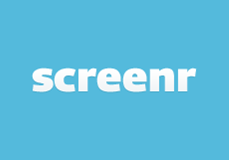 Thereafter you will be notified for each response you get for your uploaded videos and you can track how many views getting for your videos too. However if you wanna edit an uploaded video for some reason, then you have to delete video from YouTube, edit it using a video editing software on your computer and re-upload it to YouTube. That's the traditional methodology. Isn't it?